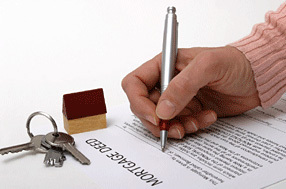 Our firm assists residential and commercial clients with their real estate contracts. For sellers, we review and negotiate contracts, draft closing documents, including but not limited to deeds, bill of sales, and affidavits of title, and attend closings to review required settlement documents, closing figures and other related closing services. For buyers our firm reviews and negotiates contracts, and attends closings to review lending documents, promissory notes, deeds, closing figures and other settlement documents. Regarding our short sale clients, we have a 96% success rate in obtaining short sale approvals. The process begins when we collect the requisite documentation from the seller, process the information, provide it to the lender and negotiate the short sale deal. Our office is the liaison between the seller and the short sale lenders. Our goal is to negotiate and advocate for our clients from a position of strength, with the goal of positioning them into a stronger negotiation leverage. A short sale typically takes about four months. Our office gets quickly immersed into the process to begin document collection and processing. For clients and agents that means when contemplating a short sale we consult with the prospective clients during the time that the property is placed on the market.